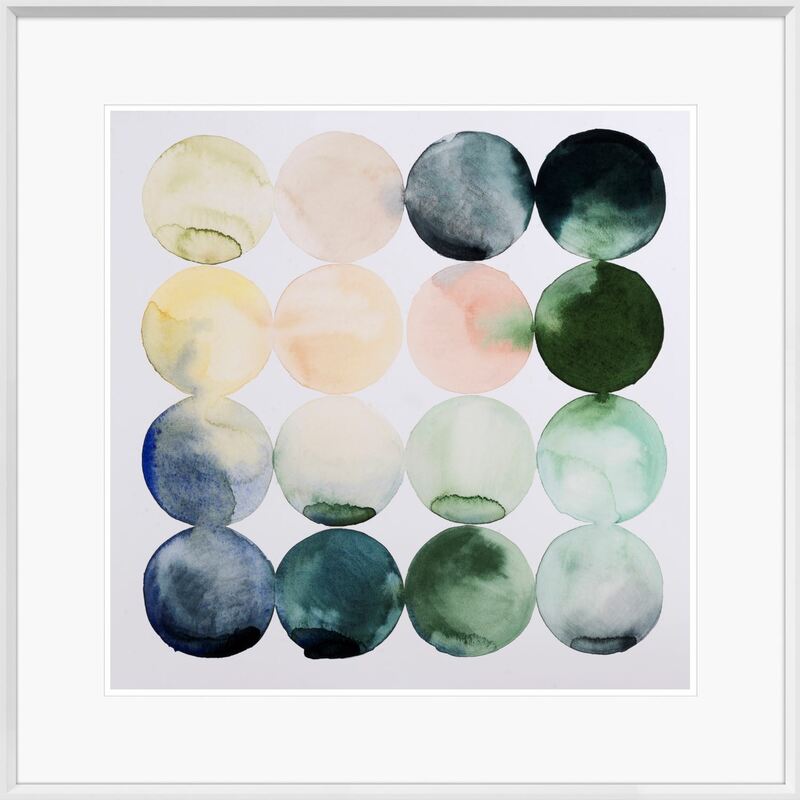 A playful and playful composition of watercolour marbles will add a punch to any contemporary decor.Framed in fresh white, angled profile and wide, white matte. A playful and colourful composition of watercolour marbles will add a punch to any contemporary decor. Framed in fresh white, angled profile with wide, white matte.